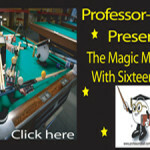 The combination is tough, and so is the standard ticky because the 6-ball is less than a ball width from the rail. 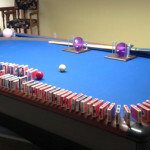 There is a way out: Hit the rail well before the 6-ball and try to hit the 6 so full that the cueball will follow through in a straight line to the 9-ball. 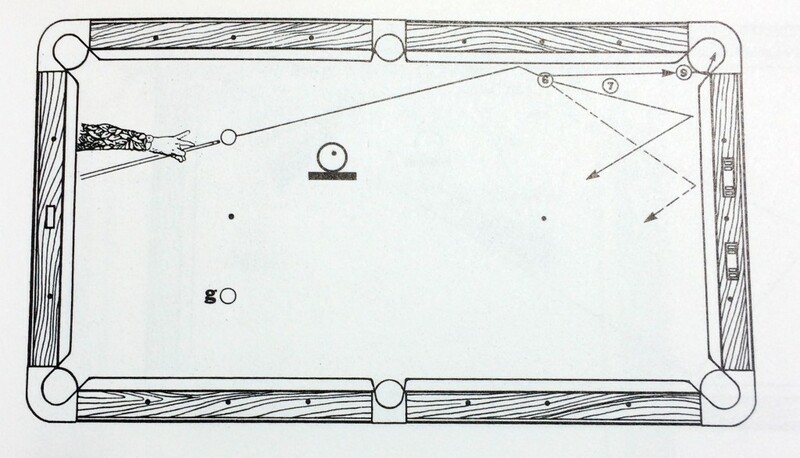 When struck properly, the 6-ball will follow the path indicated by solid line. From the more favorable cueball position g, the 6-ball will follow the dashed line. The follow ticky is deceptively difficult if you’ve never tried it. 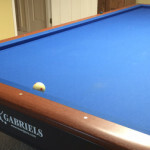 Place the 6-ball two chalk widths from the cushion and see if you can make the 9-ball in your first five attempts from either starting point.